Are you driving a Ford Power Stroke and looking to add gauges to your truck, but you’re not quite sure what the best ones are for you? 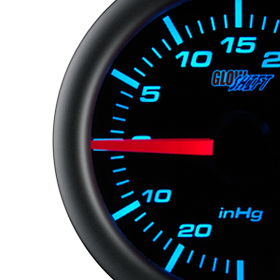 GlowShift has the answers for what gauges will be most beneficial for you. 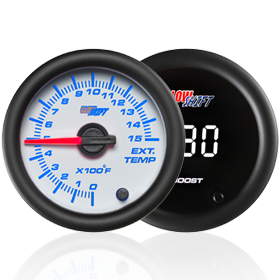 GlowShift offers Power Stroke gauge packages in three of our gauge series with a quad, triple, or dual pillar pod. Custom packages are available to fit your 6.0L Power Stroke, 6.4L Power Stroke, and the 7.3L Power Stroke trucks. The MaxTow Double Vision Gauge Series features a green LED display, as well as an illuminated red needle to give you the classic look of an analog gauge with the digital green readout. The MaxTow gauges offer 6 levels of dimming with 3 daytime dimming modes and 3 nighttime dimming modes with your choice of a black or white gauge face. The 7 Color Series Gauge package allows you to select gauges from our Black 7 Color, Tinted 7 Color, or White 7 Color Gauge Series. Each electronically driven 7 Color gauge utilizes electronic sensors and probes, as well as stepper motor technology to ensure for extremely smooth needle movement and accurate gauge readings. The 7 Color LED dial lighting allows you to change the color of your gauge to blue, green, red, teal, white, purple, or yellow. The Elite 10 Color Series are available in two different options which include a black face gauge with a tinted lens or a white face gauge with a clear lens. GlowShift’s Elite 10 Color Series Gauges utilize electronic sensors and probes ensuring all readings are extremely accurate, as well as stepper motor technology which allows for precise and smooth needle movement. 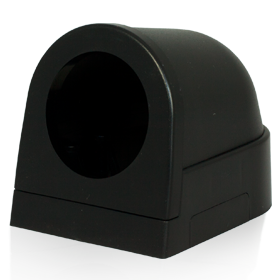 The Elite Gauge Series includes a peak recall function that gives you instant vehicle feedback and programmable high and low warnings that will alert you visually and/or audibly if you reach high or low danger levels. 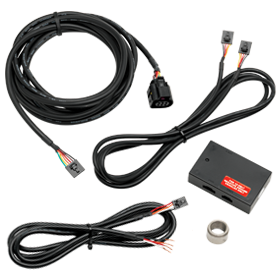 When choosing what gauges monitor the most vital functions in your Power Stroke, GlowShift recommends grabbing a 60PSI Boost Gauge, 1500°F Pyrometer EGT Gauge, a Transmission Temperature Gauge, or a 100 PSI Fuel Pressure Gauge. If you’re installing a Boost or Pyrometer Gauge you can choose to use a GlowShift 1/8 NPT Drill & Tap Kit which will allow you to get extremely accurate readings directly from the intake or exhaust manifold. 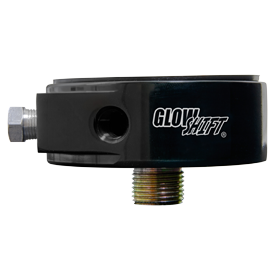 If you are looking to avoid drilling and tapping the Intake Manifold, grab GlowShift’s Boost T-Fitting Adapter that will insert a T-fitting in the cut MAP line. This adapter will fit the 99-02 7.3L Power Stroke or the 03-07 6.0L Power Stroke. When installing a 100 PSI Fuel Pressure Gauge, GlowShift recommends using a 7.3L Fuel Pressure Adapter for the 7.3L Power Stroke or the 6.0L Fuel Pressure Adapter for the 6.0L Power Stroke which will replace the fitting in the fuel filter housing to allow for an easy installation of the fuel pressure sensor. All sensors and installation instructions are included with your Gauge Package purchase, as well as all necessary mounting hardware. 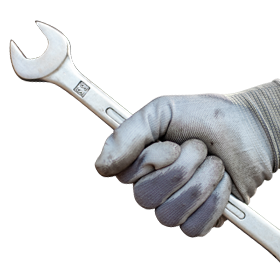 GlowShift provides free lifetime technical support and a one year limited warranty with every Power Stroke Gauge Package. If you have any other questions about the gauges or the Power Stroke Packages, please don’t hesitate to contact us!